Enrich your trip by learning about the BC coast before you get here. Below are a selection of excellent resources for learning more about BC, whales, wildlife and kayaking - and getting excited about your trip! Many of the books can be found in our guides' portable libraries. 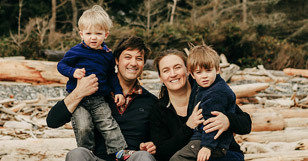 Each is a superb resource for learning about the British Columbia Coast. 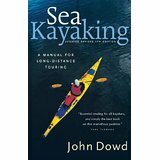 Sea kayaking: A manual for long-distance touring. The classic reference on paddling. Its practical tips and tricks go well beyond the basics. A beautiful and thorough book describing the range of ecosystems and their interactions in BC. Clear illustrations help with identifying species and groups while the accompanying text offers fascinating insights into the lives of the non-human inhabitants of the Pacific Northwest. The beachcomber’s guide to seashore life in the Pacific Northwest. Research and genealogy of the resident orcas from the researchers themselves. The ID photos are out of date, but this is still the authority on the whales in our waters. Stories and recollections of a whale researcher and all that she’s learned from Orcas. Plants of coastal British Columbia including Washington, Oregon and Alaska. This is the bible of plant ID on the coast: portable, useful and packed with notes on the life and traditional uses of plants. Great in-a-nutshell but highly accurate book on everything to do with Pacific salmon. Brilliant descriptions and illustrations of traditional technology by a Quadra Island writer with an international stature. Memories of a non-native woman who taught school on Village Island in 1935. A classic tale of a widow’s cruising adventures with her young family in the 1920s. The life story of a central figure in the Broughtons, and thus a modern history of the area itself. Very readable. A lavishly illustrated survey history of the Discovery Passage region (including Quadra), with lots of anecdotes.